Located in New Orleans' Warehouse/Arts District, the Wyndham Riverfront is offering "A New Year, a New You" hotel room package for stays in 2011: 199 rooms are available at the package price of $99 including complimentary room upgrade, complimentary Wi-Fi, a coupon savings book worth $250 towards local attractions, and more. The Wyndham Riverfront New Orleans Hotel (http://www.wyndhamriverfront.com) has announced a new hotel package that welcomes visitors to New Orleans in the New Year. Situated in the historic Warehouse/Arts District, New Orleans visitors can take advantage of the hotel’s ideal location with easy access to the French Quarter, Riverfront, Riverwalk Marketplace, Convention Center and more. The Wyndham Riverfront New Orleans Hotel is making 199 rooms available at $99 for its “A New Year, a New You” hotel package, which comes with complimentary upgrades, tickets, and savings coupons to make the most out of a visit to New Orleans. For online reservations and full offer terms and conditions, please visit: http://www.wyndham.com/wbe/reservations.wnt?pro=MSYRF&cor=49198584&cha=WYNDHAMCORP or call (877) 999-3223 and mention this offer. *The $99 “A New Year, a New You” package offer is valid for stays 1/1/11–12/31/11. Availability is limited and room rate is subject to applicable hotel tax. Based on double occupancy; additional person charge subject to $20 per adult. Maximum of 4 guests allowed per room. Offer not valid with existing reservations, groups or conventions, or combined with other offers or discounts. No refunds on unused features. From the Old World charm of the grand entrance and original arched brick walls that once enclosed a rice warehouse a century ago to the 202 modern guest rooms and spectacular two-story suites, guests are treated to New World luxury in the midst of an historic backdrop. The 6-story Wyndham Riverfront New Orleans Hotel, located at 701 Convention Center Blvd., is situated between the Morial Convention Center and Harrah’s New Orleans Casino, within easy walking distance of the French Quarter, The Riverwalk, The Shops at Canal Place, Aquarium of the Americas, Mardi Gras World, the Arts District, and riverboat and cruise ship docks. The Wyndham Riverfront New Orleans, entirely a non-smoking facility, offers 3,325 square feet of richly appointed meeting and event space with capacities up to 120 people, and world famous New Orleans cuisine in the 7 on Fulton restaurant. With Wyndham Rewards™ enrolled guests can earn points at more than 6,000 hotels around the globe. 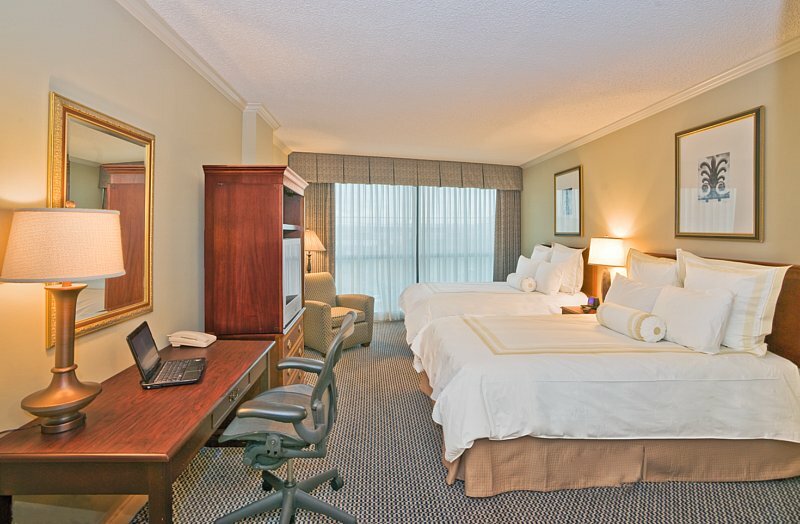 For more information on the hotel, visit http://www.wyndhamriverfront.com.